Whether you've got no requirements with what you wear for work - or you're told to wear smart clothing, workwear shopping seems like such a drag. You can never find that something that looks fashionable enough to wear after work but also fits the bill for the office. 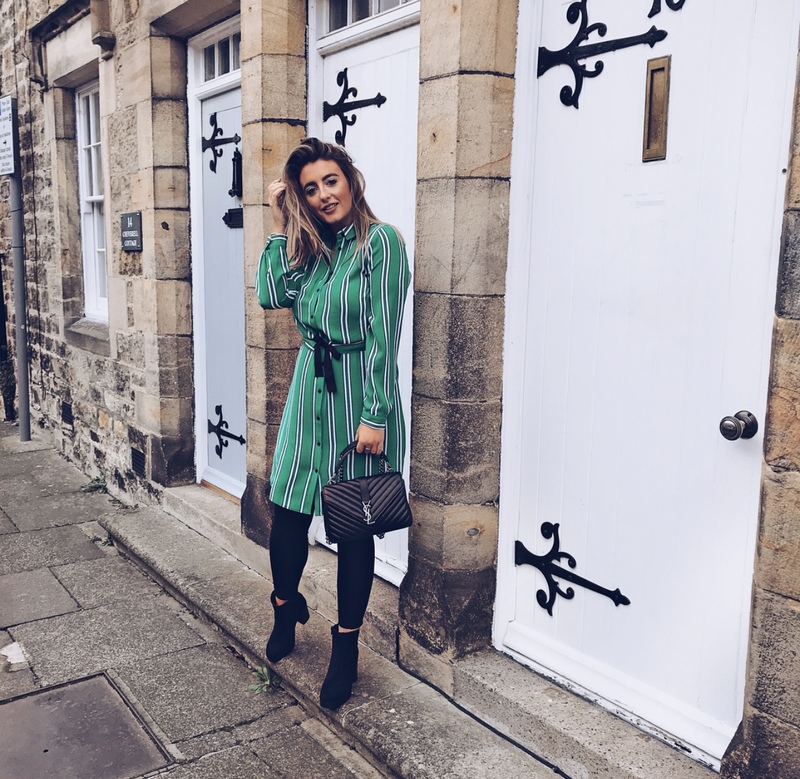 You want clothing that differs from your weekend clothing but why should we have to lose out on a bit of the fashion element. There are just so many elements that go into making the purchase for workwear such as: does it work for all seasons, is it the right length, will it go with most jackets, can I wear suitable footwear with it - the list goes on. So I have teamed up with Matalan to bring you two outfits suitable for work (and play) that covers all aspects - I think. This first outfit is perfect for those who want to steer away from black and want to add a bright colour into their wardrobe. It has long sleeves so perfect for the current weather ( you could also add a long sleeved top under to keep you extra toasty). It has a tie waist which makes it flattering but also adds that fashion element as well as the stripe pattern. The length is just before the knees which also makes it a good length with or without tights/leggings. The second outfit is one of my favourite. 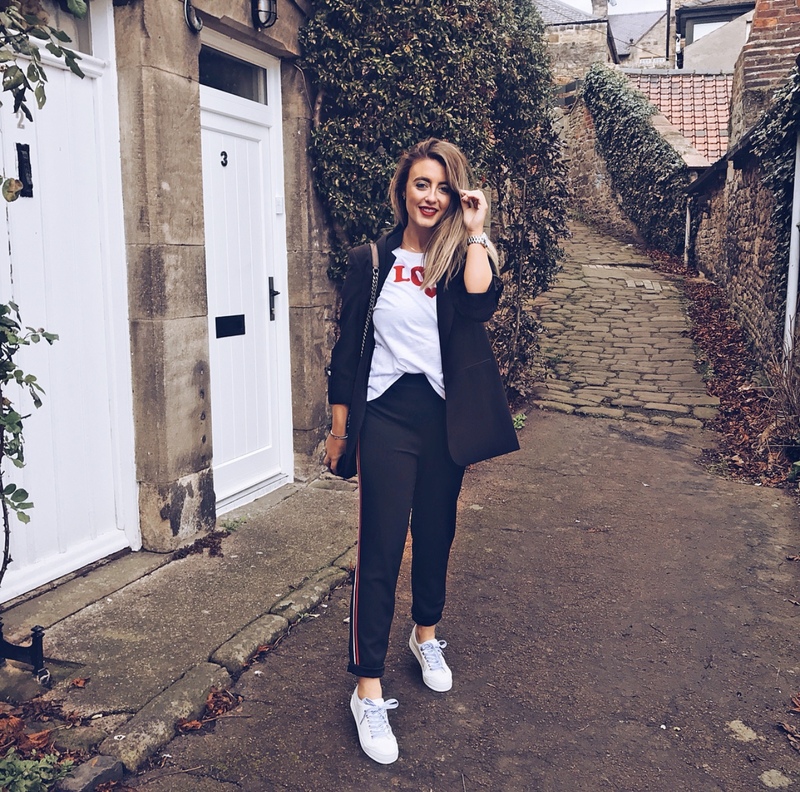 It's comfortable and stylish but also can be changed to more of a smart look with just one simple change - swap the trainers for heels and you will look like the girl boss you are. Thats only two outfits but theres actually a lot of choice on Matalan's website that I could choose. Another tip for dressing more fashionable and stylish for work is making sure you actually style it - don't just dress yourself. It may take an extra 5 mins but it will be worth it when you become the fashionista of the office. By styling yourself I mean: tucking in your top or jumper on one side, rolling up your sleeves, roll up the hems of your trousers, add a shirt under a jumper, adding a belt to a dress around the waist - theres loads of ways. I feel like Matalan always has some really good picks!